Shri Narasimhamoorthy, Warden of Vrindavan Hostel has been a sincere devotee of Baba for several years. He has been blessed to be a good instrument in Baba’s programme of implementing integrated education system in India. He was initially at Alike and Muddanhalli schools before Baba asked him to come over to Vrindavan and be the warden there. In between for a brief time, he was the warden of Prashanthi Nilayam Campus also, before being permanently shifted to resume duty at Vrindavan. Shri. Narasimhamoorthy, as we students know him, is a man of great discipline, moral values and unshakable faith on Baba. He is an excellent orator and greatly respected by the students both at Prashanthi Nilayam and Vrindavan for his organisation capability and conviction. This episode described below is also a proof Baba’s words of the utter catastrophy of events that could occur in case we do not follow his command. 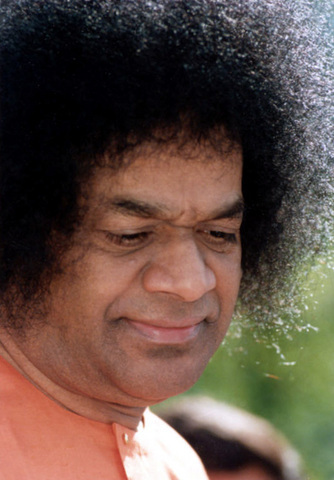 Baba on his return from Brindavan to Puttparthy on 12th December had announced to the students that the Sports Meet (which were held every year in January 11th) should not be held that year (1999). He announced the same at Vrindavan too before coming to Puttaparthy. Students did not listen and prayed very fervently for the Sports Meet, which they felt was the only opportunity to do something for Baba and dedicate it to him. Even though Baba had ordered the sports meet not to be held and a notification from the Vice-Chancellor’s office to this effect had already been issued, students still persisted with their regular practices hoping that Baba would somehow still agree. Many days passed this way with students praying hard within the mind and also sending greetings and requests to Baba to take back his order of not holding the sports meet. Baba took none of them. Some greetings were sent back to hostel with Baba’s message of not raising the issue again. But students still persisted....Baba later agreed. January 14th arrived and the students arrayed themselves to display before Baba all they had practiced for 45 days. Baba’s caravan arrived with Baba seated on a seat with a steel covering. As Baba’s caravan reached the ladies section, Baba’s car halted for a while and Baba stood up to wave to the people assembled. As he stood waving to the crowd, Baba’s car moved a little bit to the front. Baba lost his balance and fell back on the steel covered seat. Baba’s hands, spinal cord and head rammed against the steel covering which sent shock waves amongst everyone. Baba sat on his seat in that position for a few moments. Our (students) hearts missed a beat. Did Baba get hurt?.....If that had really happened, we students would never be able to forgive ourselves for it was on our persistent request that this cancelled Sports Meet was revived. But did we want it at the cost of our dear Lord getting hurt? That surely was unacceptable .. to anyone. A few moments later to everyone’s relief Baba got up and started waving to everyone again. The car stopped and the Vice - Chancellor received Baba, who got down and accepted the floral tributes. Baba walked without any apparent problems on the ramp and occupied his seat. The program commenced as scheduled with the primary school children performing first, our sisters of Anantpur next followed by the brothers of Vrindavan and Parthi. After each performance Baba came down the ramp and gave group photographs and climbed up the ramp again. After the program, Baba left waving to everyone saying he was immensely happy. As Baba went away to the Prasanthi Ashram, news reached the students that Baba was giving group photographs. All students rushed to the mandir expecting to be in time before Baba went back into his apartment. As Baba came out of the interview room with Mr. Indulal Shah (Chief convener of Sri Satya Sai Seva Organisations ), Mr. Srinivasan (central trust members) and others, He blessed everyone , gave group photographs to a everyone and left the Prashanthi darshan hall. Two days later, before the brothers of Vrindavan left, Shri. Narasimhamoorthy was called in for an interview. During the interview, he noticed bandages on Baba’s hand and cried out “Baba, What is this?” Baba brushed aside his question but on being persistently being asked, Baba revealed the truth, which when announced by Shri. Narasimhamoorthy the next day stunned everyone. Baba later told Mr. Indulal Shah, Mr. Srinivasan and Shri. Narasimhamoorthy that the year 1999 was the year of Pramadi (an year of torments) .One of the boys performing a dangerous stunt was going to fall from a height that very day. Baba knew this right from the start and to avoid this ordered the sports meet not be conducted, which as readers know was not adhered to. (Later Baba disclosed in the discourse following Shri. Narasimhamoorthy’s speech that -- “You were not ready to listen to me. You all were praying so hard. Even after repeatedly telling you not to go ahead with the program, when you were so insistent, then I had no other alternative but to let you perform. But there was no way I could let my own children get hurt. So I transferred his Karmic effect on me. I can bear it but you cannot. If he would have fell from that height, his hands would have smashed on the ground , his spinal cord would have split and head smashed to pulp. When Baba fell on the steel casing , Baba’s hands, spinal cord and head rammed against it. That was my way of taking up his injury”). Baba started bleeding profusely. His back was soaked in blood. His head too had been hit. But Baba let no one know of this. Baba’s maya covered the visibility of blood from the scores of VIP’s between whom Baba was sitting. For five hours Baba bore the ordeal. Inspite of the piercing pain Baba came down to give group photographs and climbed the stairs again. Even when Baba’s robe became wet due to blood coming out continuously, Baba went into the temporary toilet and washed the blood off the robe. Knowing fully well that, if the student, who was attending to Baba that day saw the blood stains on the towel and the make -shift toilet floor, would get alarmed Baba even washed the towel he had used with soap and also swept the floor. For 3 days Baba bore the injuries. Not one of us knew of this until Shri. Narasimhamoorthy was allowed to tell it in course of his speech. Shri. Narasimhamoorthy cried, the students cried and the devotees wailed. We, students of Baba experience him so closely. Baba is our father, mother, teacher and friend, he is also the love of our life. Our very life is his gift and dedicated to him. Everything will go into Sai. From him have we come. Into him we shall go.